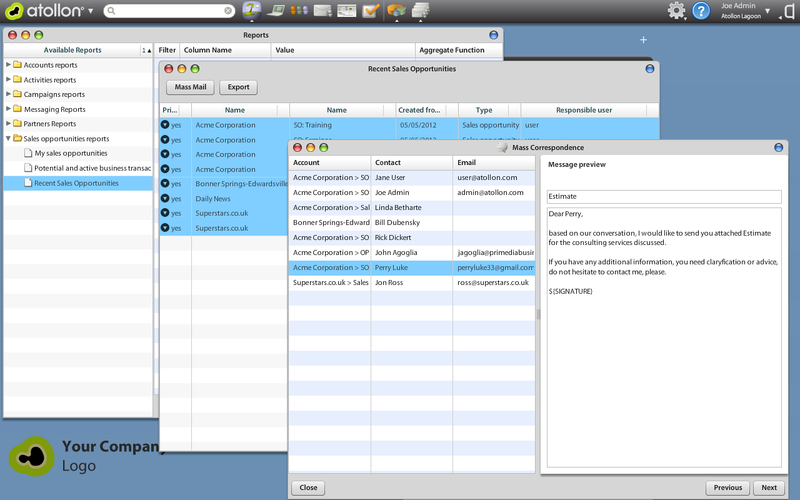 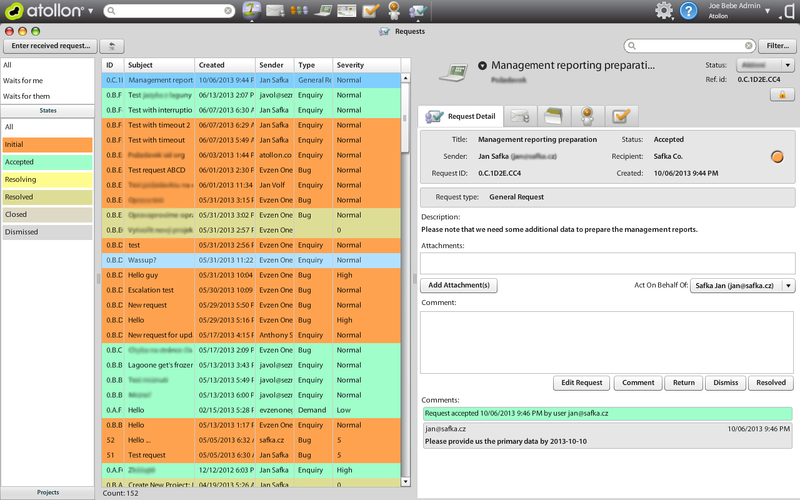 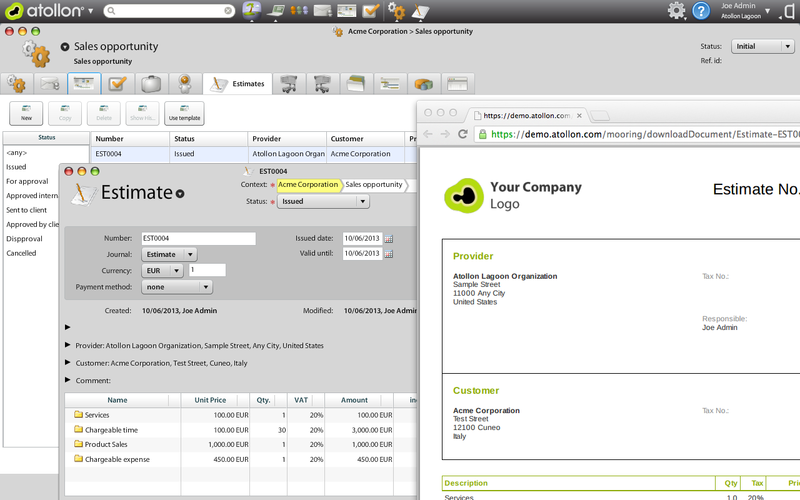 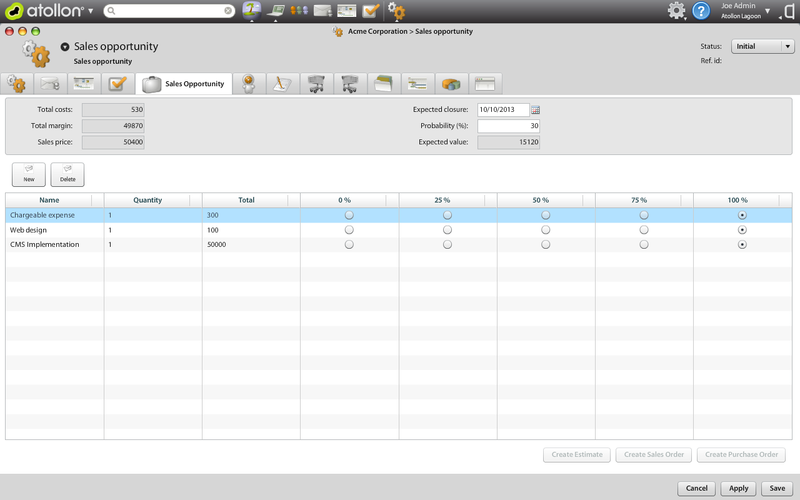 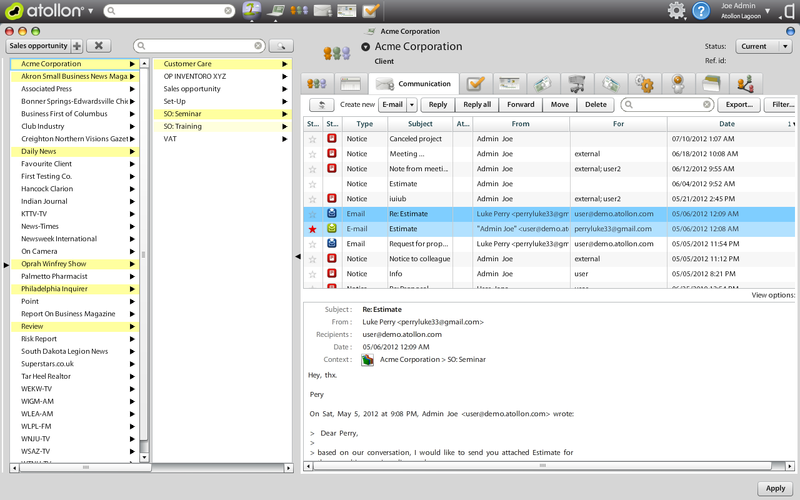 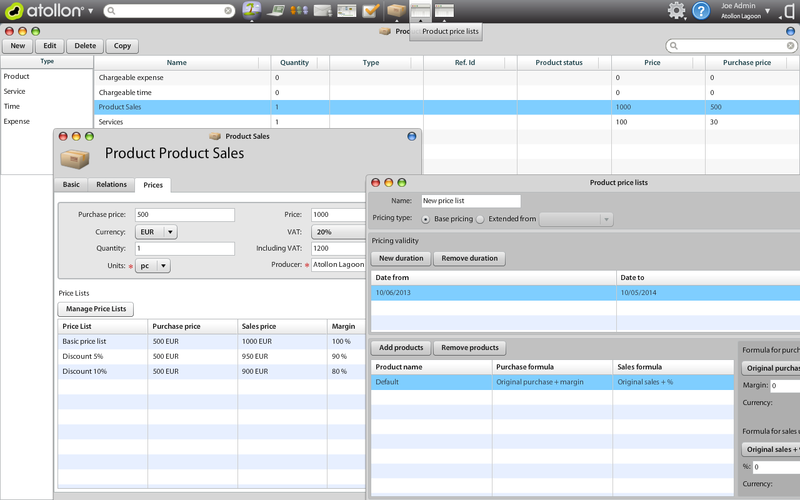 Atollon CRM allows you track catalog of goods & services, incl. 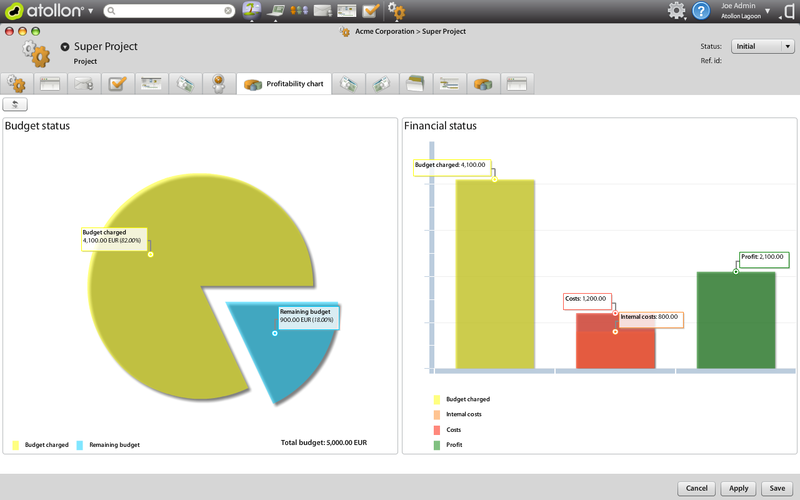 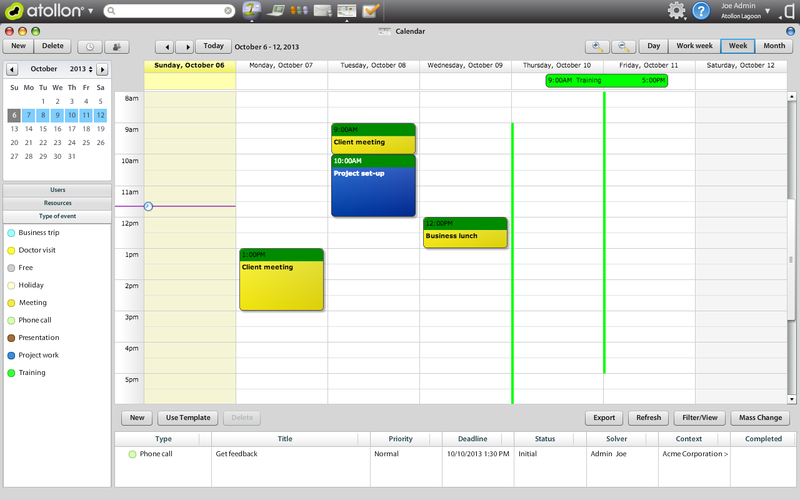 Track your sales related Tasks, Meetings & Reminders to keep your important activities on top of your agenda. 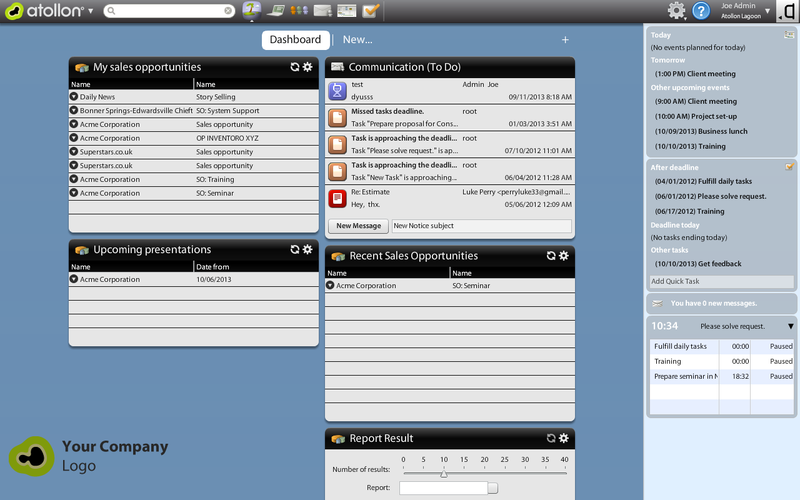 Access all your company data & team folders.